My old (tube) tranceivers and receivers. Trio (Kenwood) TS-510D. Desktop HF Transceiver. 160 Watt input. SSB, CW. Trio PS-510 Power Supply and Speaker Unit. Trio VFO-5D Variable Frequency Unit. 2 FET's, 14 transistors, 30 diodes. Trio (Kenwood) 9R-59D. 8 tubes 3x 6BA6/EF93, 2x 6BE6/EK90, 2x 6AQ8/ECC85, 6AQ5/EL90. 6 transistors 6 diodes. Manufactured ~ 1969. 10 tubes 6BA6 6BA6 6CB6 6CB6 12GN7A 12BY7A 6BZ6 6AW8A 2*S2001 or 2*6146B (Finals). 1 IC, 4 FET's, 37 transistors, 57 diodes. Input power 180 watt. Manufactured Early 1970s. Power supply & Speaker unit. Kenwood PS-515. 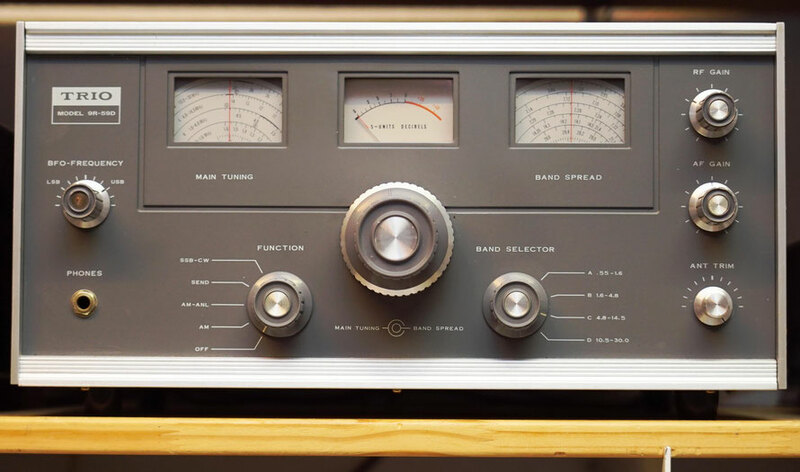 Kenwood Transmitter model T-599S / Receiver R-599D and Speaker S-599. Kenwood TS-520. Manufactured 1974. Power 120W PEP SSB and 100W CW. Is designed for SSB and CW modes in de 80 through 10 meter bands. 3 Tubes 12BY7A (Driver), 2*S2001A or 2*6146B (Finals). 17 FET's, 47 transistors, 84 diodes. 2 meter Transverter TV-502. It operates from 144 to 146 MHz with 8 watt output. 5 FETs, 15 Transistors, 10 Diodes. Remote variable frequency oscillator. VFO-520. Kenwood TS-520. Advertising Schaart Electron 1974. 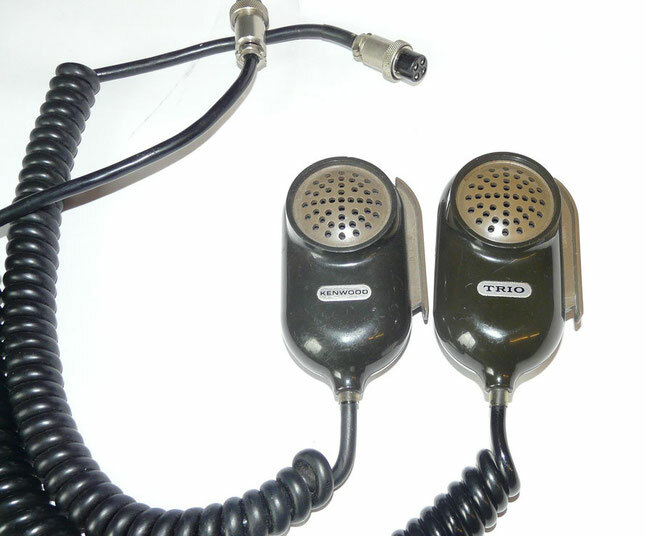 Kenwood / Trio microphone MC-10. Dynamic mic. Impedance 500 Ω. Used with different Kenwood transceivers TS -515, TS-520, TS-700, T-599S. Sommerkamp FT-250. With YD-844 Sommerkamp microphone. Also made by Yaesu FT-200 / Henry Tempo One. Power supply & Speaker unit. Sommerkamp FP-250. Sommerkamp YD-844 is a unidirectional, dynamic desk microphone. It features a PTT and lock function. Impedance 50K Ohm. 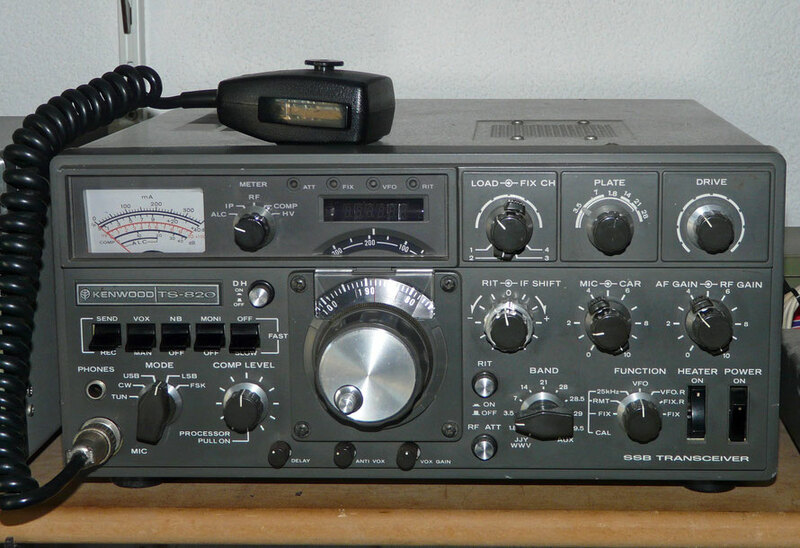 Made for Sommerkamp FT-250 Transceiver. Kenwood TS-700. 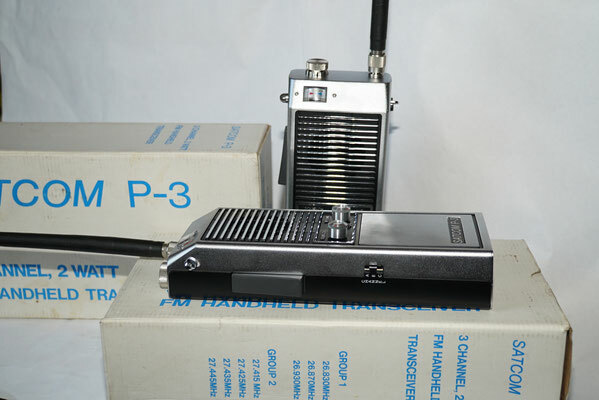 2 meter multimode transceiver. Operation in FM, LSB, USB, AM and CW modes. Power output 10 watts FM, SSB, CW, 3 watts AM. Frequency coverage is 144-147.999 MHz. Kenwood TS-700 Advertising Schaart Electron 1974. The Pony CB-36 portable transceiver from Kanda Tsushin Kogyo Co. LTD. Tokyo Japan. New unpacked after 40 years. Satcom P-3. 3 Channel, 2 Watt FM Handheld Transciever.